RussBaker.com » Family of Secrets available now! Family of Secrets available now! Buy now at Amazon, 30% off, Barnes & Noble, Borders, or Indiebound. 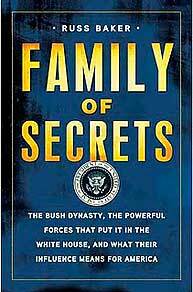 Shocking in its disclosures, elegantly crafted, and faultlessly measured in its judgments, Family of Secrets is nothing less than a first historic portrait in full of the Bush dynasty and the era it shaped. From revelation to revelation, insight to insight-from the Kennedy assassination to Watergate to the oil and financial intrigues that lie behind today’s headlines-this is a sweeping drama of money and power, unseen forces, and the emblematic triumph of a lineage that sowed national tragedy. Russ Baker’s Family of Secrets is sure to take its place as one of the most startling and influential works of American history and journalism. If the prophecies of Nostradamus have for centuries attracted the attention of kings, queens, popes, prime ministers, presidents and secret societies–a.k.a. “intelligence agencies”– perhaps we should consider the one about to be fulfilled concerning Edward Kennedy: “The successor will avenge his handsome brother’s death/ and occupy the realm under the shadow of vengeance.” That will be the result of this prophetic tocsin. The American people–those still capable of caring for the truth–salute and congratulate you, Mr. Baker. I hope the Bush family is remembered for who they are and what they did to this country. Thank you for revealing the true face of this anti-American family. I couldn’t put it down. For years I’ve suspected serious problems in our gov’t. This proves it. Would have been handy as a conversation point when I was in Paris during the re-election. Oh well. 1. My uncle was a policeman in Dallas then and was stationed there in the building with Oswald. (Patrolman Edward W. McElwee He was a Patrolman (Relief), 3rd Platoon, HQ Section, Service Division.) He quit the police after Oswalds death and moved away to work for John Deere at his wife’s request because she was afraid because he was threatened on three occasions. He said there was police corruption and mob involvement in the murder. 2. I told an old navy retiree neighbor of mine here in Dallas( which i know as a very honest guy) about the Hunt tape. He was shaking his head yes as no suprise then said let me tell ya what happened to him. He said “in 1963 I was leaving the east on Navy leave and driving to Dallas, picked up 3 hobos near the virgina/ tennessee border, they looked different from regular hobos, told the three I had to stop to sleep and they said we must be in Dallas nov 22 and that they would drive while he sleeps but I told them no can’t drive my car but don’t worry I’ll get you to Dallas on time, they were very nervous about time but i droped them off down town early that morning and went over to Lemon ave to get my wife and took her downtown to see jfk motercade. Didn’t think about the hobos again untill years later with all the talk about possible hobo involvement, really wonder now”. I guess ya don’t leave a tranportation paper trail if ya hitch hike from DC. 3. George Noory had older lady caller named Velma a few months ago that saw the jfk killer with a rifle run out back of the school book depositoy, she went in to great detail, he was suppose to be getting her a polygraph test but i think someone killed her or she died. Please check with George Noory about that. 4. Art Bell had a documented cia sniper as a guest that has written a book about cia but not about jfk. He said ” I was sitting in the break room the few days after the jfk murder and the room was quite and i heard my two cia sniper trainers sitting across the room say that things really went well in Dealey plaza didn’t it, and the other said yep. the two trainers were gone on a 3 day trip during the jfk murder and had just gotten back”. Please ask Art about that to see if he remembers who his guest was. My Dad,who was in the Navy,told me that anyone who knew what they were looking at regarding JFK(Zapruder film) would know that it was a crossfire.He also said that 9/11 reminded him of operation northwoods.To me,it isn’t a question of who killed JFK-The question of who DIDN’T want him dead is more pertinent-The defense contractors,the mob,J.Edgar Hoover,LBJ,Fidel Castro,take your pick. I just listened to an interview with Russ Baker on a Boiling Frog podcast and Russ said that he started pursuing the writing of the book by asking the question: how could someone like Bush be reelected (or elected). Please, Russ… pay attention to reality. 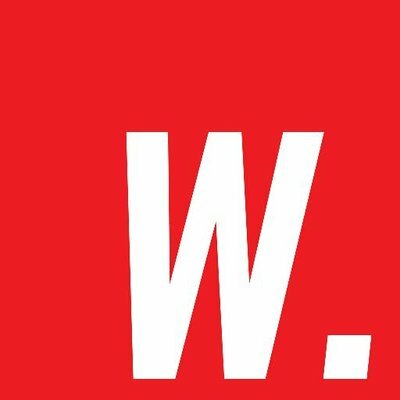 Bush was never elected or re-elected. Both elections were stolen. I am recommending this book to relatives and friends. An eye opener ! I saw Mr Baker on BNN.